3.1	Copyright (c) 2019 Holdfast Credit Union and our licensors. 8.2	You may cancel your account on our website by contacting us and requesting your account be closed. 9.2	You grant to us a worldwide, non-exclusive, royalty-free licence to use, reproduce, store, adapt, publish, translate and distribute your content in any existing or future media. 9.5	You may edit your content to the extent permitted using the editing functionality made available on our website. 20.4We are Authorised by the Prudential Regulation Authority and regulated by the Financial Conduct Authority and the Prudential Regulation Authority. 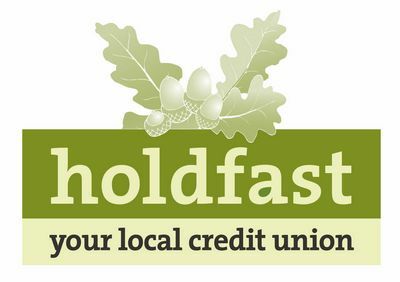 21.1	This website is owned and operated by Holdfast Credit Union. 21.2	We are registered in England and Wales under registration number IP00325C, and our registered office is at The Centre, Newland Street, Witham, CM8 1AH. 21.3	Our principal place of business is at The Centre, Newland Street, Witham, CM8 1AH. (d)	by email, using info@holdfastcreditunion.co.uk. (e)	by visiting us at the address above during our opening hours.